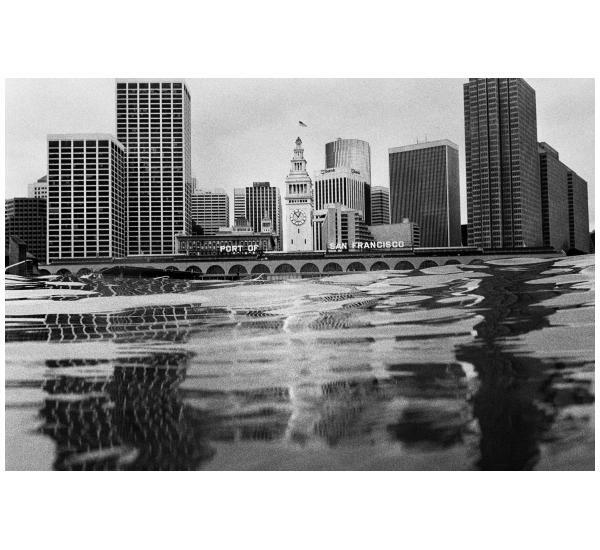 In a city making headlines for its high cost of living, Spencer set out to photograph San Francisco’s waterlogged edges. 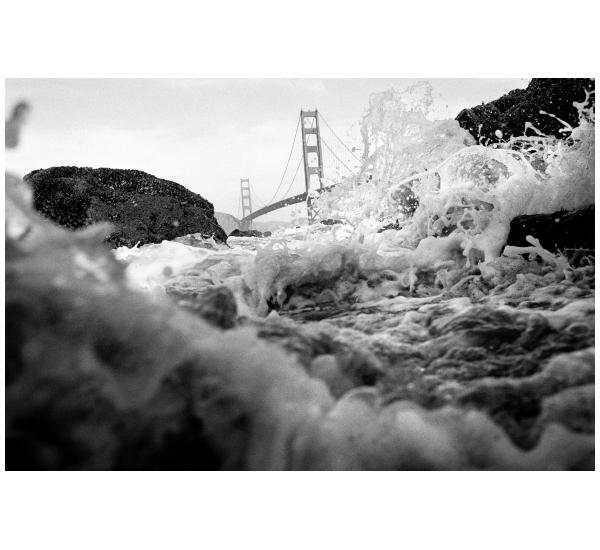 The resulting “immersive” photographs take the perspective of the water itself. Waves pull at the coastline, flow under the piers and erode the seawalls built in boom times a century ago. 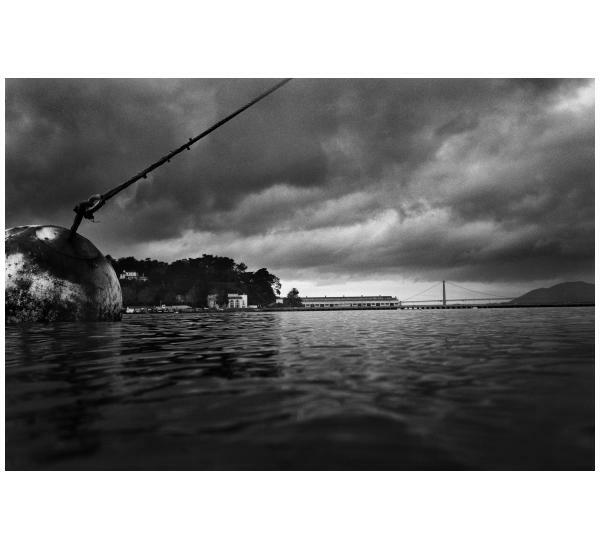 We see the high waterlines of development and how uses have slowly changed overtime. 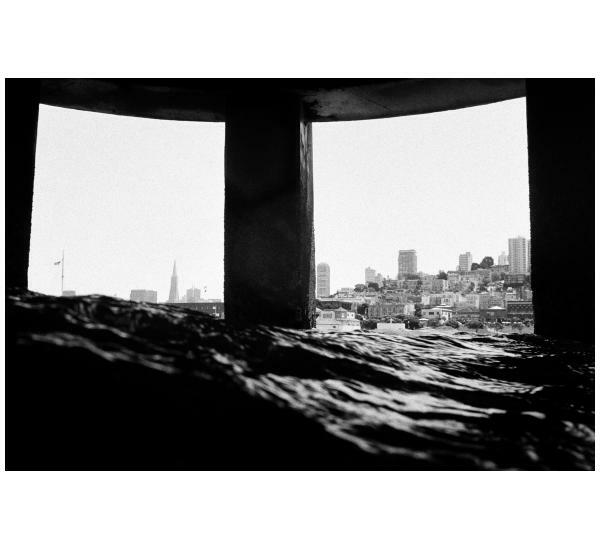 Wearing a wetsuit and using a waterproof film camera, he shot at the water’s surface while floating the majority of the coastline from Hunter’s Point to Ocean Beach. There is uneasiness in the photos. For some, they evoke eerie visions of rising sea levels or tsunamis. For others, it’s what lurks below that raises hairs. 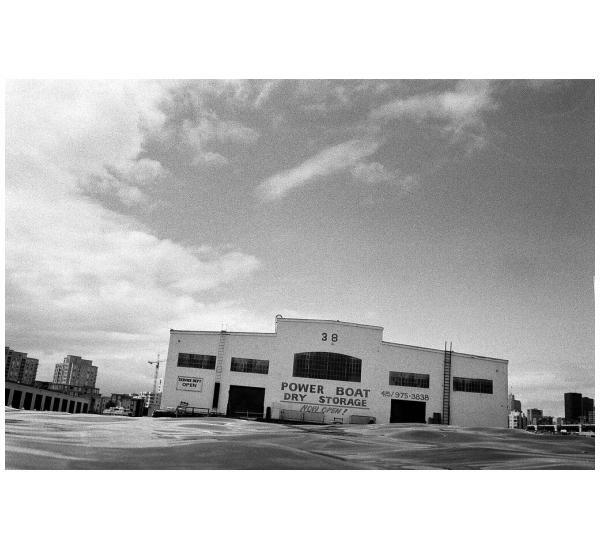 For Spencer, it was the chance to explore a part of San Francisco seldom photographed that drew him into the bay. 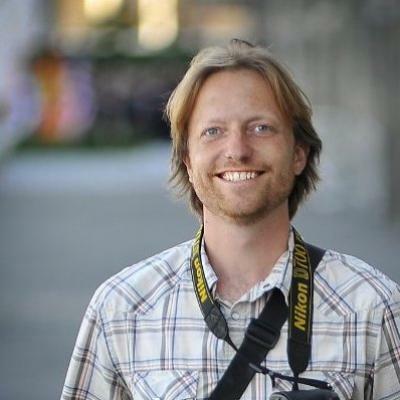 Spencer Aldworth Brown is an award-winning editorial photographer.